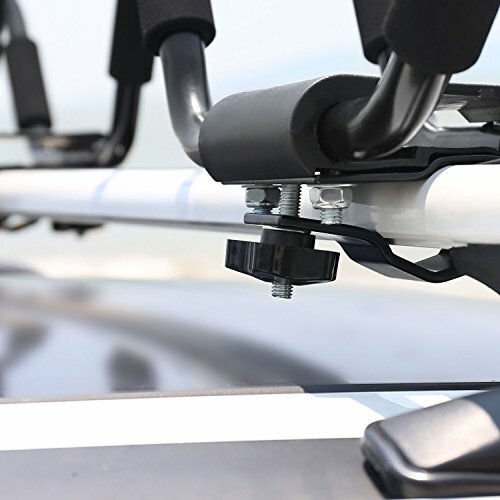 Product prices and availability are accurate as of 2019-04-24 17:08:23 UTC and are subject to change. Any price and availability information displayed on http://www.amazon.com/ at the time of purchase will apply to the purchase of this product. 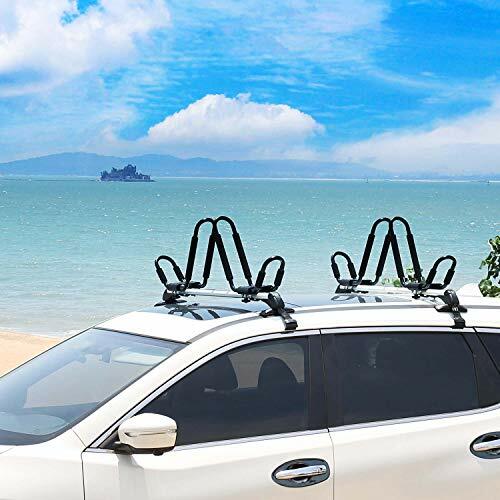 Leader Accessories 4 pcs/ set J bar Kayak Rack for Canoe Surf board SUP on the roof top mount crossbar Black extra 4 pcs tie down rachet straps including. 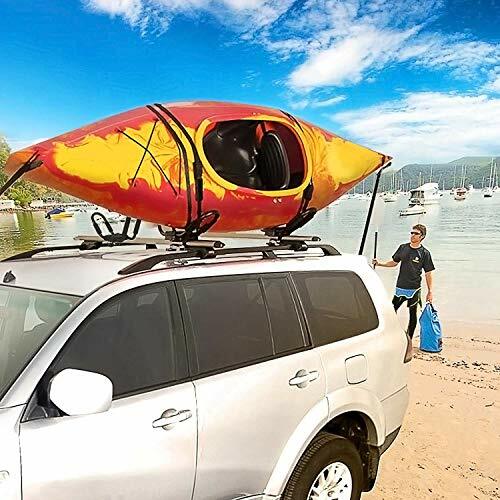 DOUBLE KAYAK RACK: 4PCS set Kayak Rack to help you save cargo space and keep your kayak safe during long drive on the way to the destination. 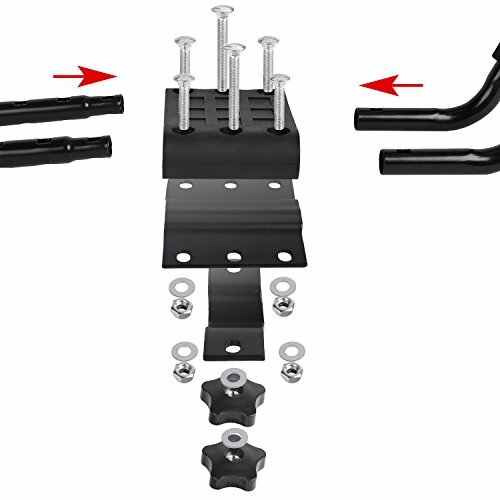 HEAVY DUTY: Steel construction with power coated, makes the rack stronger and not easy to get rust. 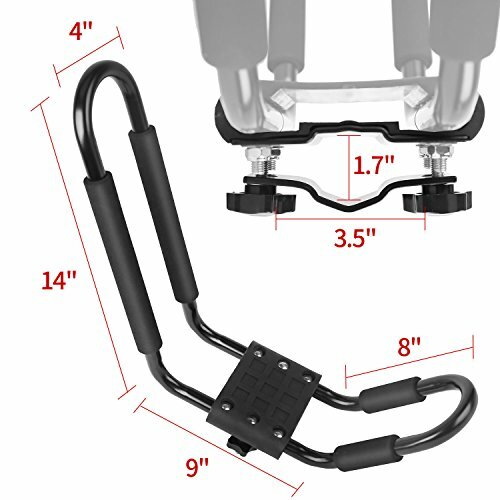 Maximum Lock tight on your kayak, Canoe, 8 Ft long, 250 Lbs Tested, easy and safe for your transport. 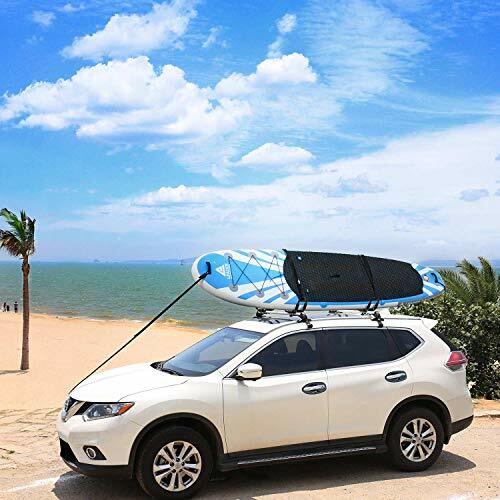 REDUCE SCRATCH: Extra foam padded design to reduce any scratch and prevent the cannoe or kayak from rubbing MULTI PURPOSE USE: Easy to Install, use this car roof rack to carry Kayak, Canoe, Suif board, Ski board, Snow Board and SUP 1YEAR WARRANTY: Extra 4 pcs tie down rachet straps including.